One of my favorite things to do is cook breakfast on a Sat or Sun morning, after either waking up early or waking up late… My freshman year in college, I worked at a pizza restaurant, Chelby’s Pizza in Manchester, NH. I was close with the owner and was loyal to him as I worked in one of his previous restaurants while I was in High School. Anyway, I would wake up at 4am, drive to Manchester from UNH and open the restaurant at 5am. It was the whole nine yards – get the bacon ready, the eggs, the pancakes, etc… I would work until 1pm and would drive back to UNH to take a nap. Not what you would think a freshman would be doing. Anyway, it taught me how to make a good breakfast and it’s something I really enjoy. One of my favorite things to do is make a killer breakfast out of what’s left in the fridge. 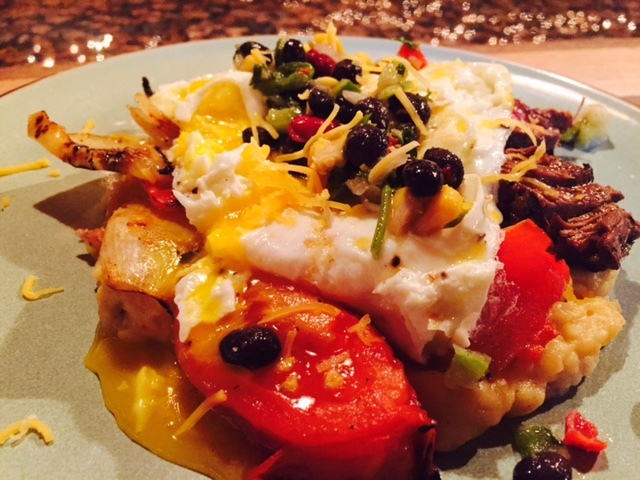 Here’s a good example: Sriracha Butter Mashed Potatoes on the bottom covered with sautéed onions, tomato and left over teriyaki steak, with an over easy egg as the next layer and a little bit of black bean salad with cilantro on top…. oh yeah, with a bit of hot sauce and shredded cheddar cheese! It’ll probably kill you, but it’s worth it every once in a while! Great song, great album, great band! Happy from the Rolling Stones, 1972 off of Exile from Main Street. This song was sung by Keith Richards and over time, it gave Mick a chance go relax for a bit, although he still would sing the chorus. Below is the official Happy video, live from 1972. Below that video is my favorite online guitar lesson teacher, his YouTube site is James James. We love the same type of music and he’s a big Stones fan… Take a look if you’re into learning some music, he has a lot of videos online, and he’s extremely talented. Check out this article from Rolling Stone Magazine! Keyboardist Ivan Neville and singer Sarah Dash also appear on Crosseyed Heart, while special guests include Norah Jones on the ballad duet “Illusion,” Spooner Oldham on “Lovers Plea,” famed multi-instrumentalist Larry Campbell on “Robbed Blind” and Aaron Neville on “Nothing on Me.” A pair of tracks, “Amnesia” and “Blues in the Morning,” also feature contributions from late Stones saxophonist Bobby Keys. 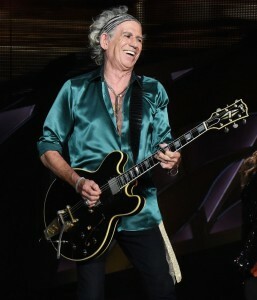 In April, Rolling Stone asked Richards whether he would tour in support of his upcoming solo LP. “That’s being kicked around,” Richards said. “At the moment, I’m just getting my head into the Stones and I haven’t really thought about what I’m going to do afterwards. But usually if I put a record out, I do some road work. So, it’s possible.” At the time, Richards revealed that his solo album was finished, but he was waiting for the Stones to wrap up their tour. Despite the solo LP, Richards is also eager to hit the studio with the Rolling Stones soon to record a follow-up to 2005’s A Bigger Bang. “We’re talking about doing some recording after this tour, but there’s nothing definite. We just threw out the idea. I’d like to get the boys back in the studio again, yeah. Anything can happen,” Richards said. “I’d like to see just how far they can evolve. I have no demands or particular visions for them, but you’re just part of this thing and I want to see how far it will go. Seared scallops and shrimp with a sherry cream sauce reduction over saute’ed spinach. A very easy appetizer to make… The sauce is simple – bring the pan to high heat, glaze with some sherry (I like to cook with Harvey’s Bristol Cream Sherry – it’s about $12). Once the sherry cooks down a bit, add the heavy cream and some salt and pepper. When it starts to boil, stir it and it will reduce. The spinach is easy, just saute it with some olive oil, salt and pepper. 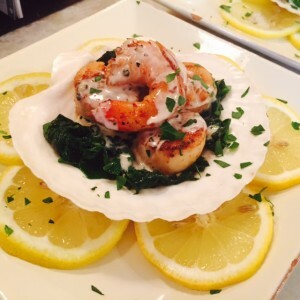 To me, food is visual, so make the plate look nice and throw a little chopped up parsley on top! Thank you goes out to Raphael and Kerri, who let me dirty up all of the pans in their house!